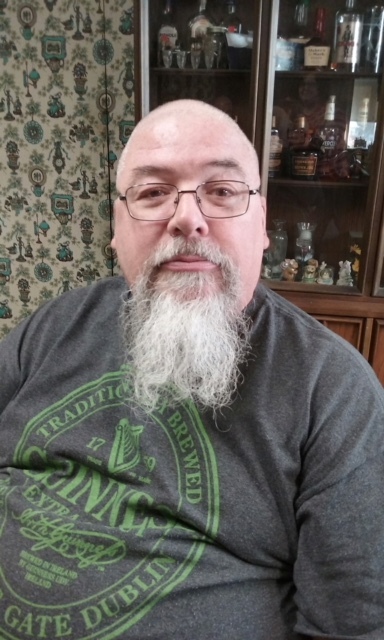 Mark Kinch, age 57 of Lapeer passed away Monday, April 16, 2018 at Crittenton Hospital Medical Center. Mark was born February 5, 1961 in Lapeer, the son of Robert and Carole (Patterson) Kinch. Mark grew up in Lake Orion and moved to North Branch in 1974. He graduated from North Branch High School in 1980. He married Cathy Naracon on May 14, 1983 in North Branch. Several years later after starting his family, he continued his education and received his associate degree at Mott College in electronics. Mark enjoyed hunting, going to sports shows, his cars when he was younger, but his pride and joy was his grandchildren. Mark is survived by his wife, Cathy, daughters, Heather (Scott) Rukenbrod of North Branch and Krystal (William) Sanborn of Lapeer, son, Anthony Mark of Lapeer, sisters, Linda (James) Wolf of Melvin and Marianne (Robert) Wells of Silverwood, brother, Jeffrey (Theresa) Kinch of Clarkston, mother-in-law, Virginia Naracon of North Branch, grandchildren, Jacob, Nathan, Bentley, Alexa, Brendan, Samantha, Kamerin, many aunts, uncles, nieces, nephews and cousins. Mark was preceded in death by, his parents, and father-in-law, Fred. At Cathy’s request please no flowers because of family allergies. Donations may be made to the family. The family will be present for visitation on Friday, April 20. 2018 from 10 to 3. The Funeral Service will be 3:00 on Friday all at Blackburn Chapel-Martin Funeral Home with his nephew,Tim Marshall officiating.